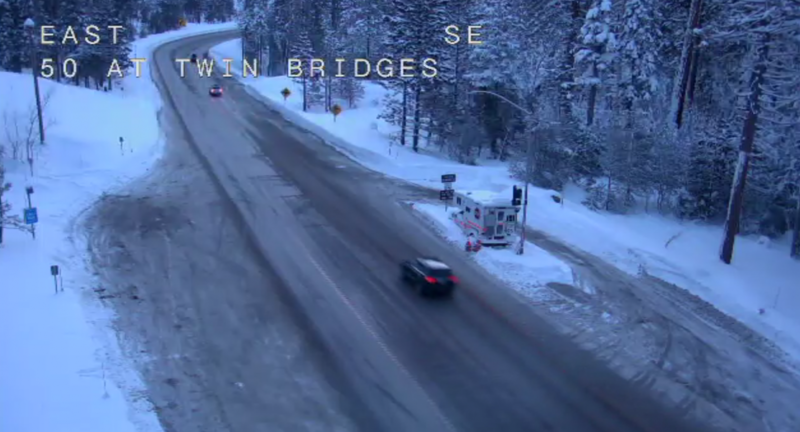 The view on U.S. 50 at Twin Bridges Monday morning. Chains are required on all vehicles except four-wheel-drive vehicles with snow tires on all four wheels from 2 miles north of D.L. Bliss State Park to Tahoe City.